The website also ranks very well on Bing and is in the number 1 organic position for many of the keyword phrases listed above. 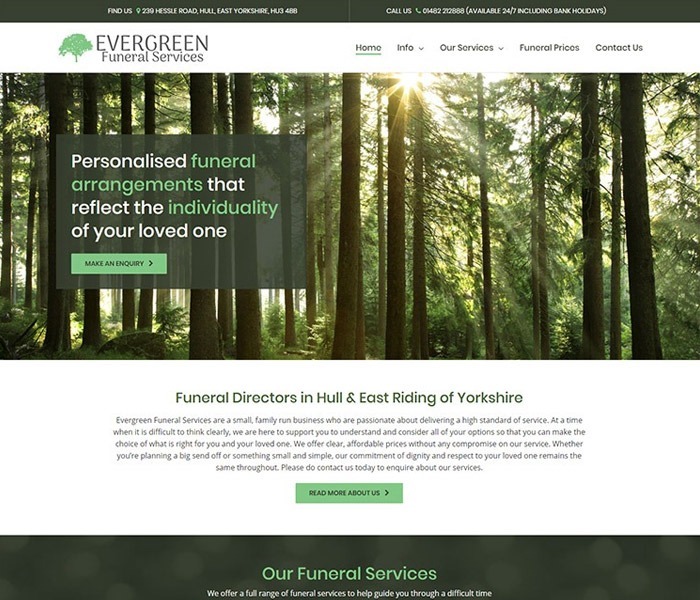 As well as managing the organic SEO for Evergreen Funeral Services, we also set up a Google Adwords pay-per-click campaign for them so that an advert for their business appears in the paid ads at the top of Google when people are searching for funeral related services. As a result they have maximum exposure on page 1 of Google for search terms such as “funeral directors hull” because they have a listing in the paid ads, the organic results and the Google Maps results for local searches.